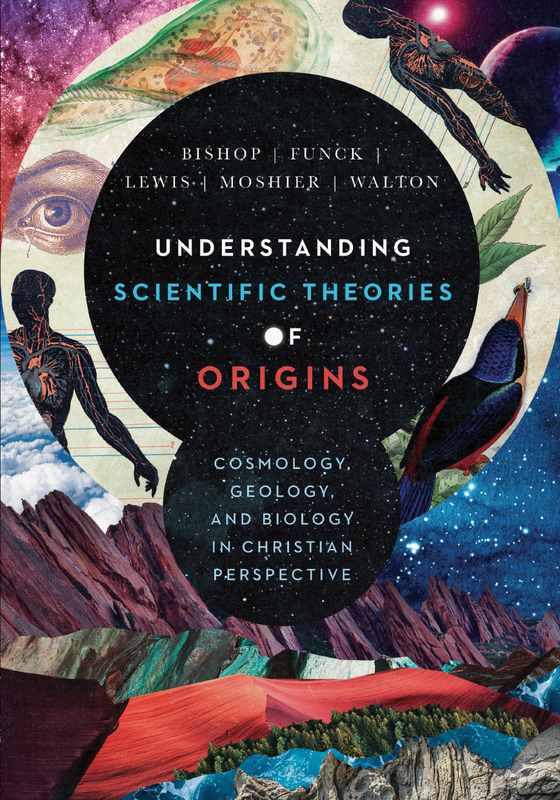 The first chapter of Understanding Scientific Theories of Origins looks at principles of biblical interpretation. Because this is the biggest stumbling block for Christians, it is important to address interpretation head on in order to lay a framework for understanding the relationship between science and Christian faith. There is the rub … what are sound hermeneutical principles? What is the appropriate theory and methodology of interpretation of Scripture? Some see the bible as a transcendent text containing hidden knowledge, even coded messages. Modern science and other phenomena completely foreign to the original audience are found by those with eyes to see. But this is not a sound approach to Scripture. Taking this approach, we can find anything we want … as people too often have throughout history. Authority is found in the understanding and intention of the human author. God chose to reveal himself through the writing of humans in a time and place. The message was intelligible to the authors and the meaning was communicated by those authors to the original audience. It was intelligible to that audience. The text cannot mean what it never meant. This is derived from the first principle. “In our quest for the authoritative claims of the Bible, we are committed to the understanding of the human author because that is where God’s authority is vested, and the Bible cannot mean what it never meant.” John uses the Big Bang as an example. We may find the creation story compatible with a big bang – specific time when the universe came into being – but the Bible itself does not make authoritative statements about a big bang. The context of Scripture is found in the ancient world. We will misinterpret Scripture if we impose modern categories and ideas on the text. John suggests that while human nature is universal, culture varies over time and place. The Bible conveys many truths about human nature, but does so in the context of an ancient culture. The meaning of words is found in their usage. The careful study of the original languages, primarily Greek and Hebrew, is an essential part of biblical interpretation. While the Greek of the New Testament represents a fairly short span of time, the Old Testament spans a long time range. This makes interpretation even more challenging as words can change meaning. We must realize that we are relying on translators who are by necessity practicing interpretation in the process of translation. These principles will challenge many modern Christians who have learned to take a somewhat different view. After all, isn’t a plain reading of our favorite English translation all that is really necessary? The essence of truth necessary for a saving faith is found in a plain reading of any careful translation or paraphrase – but there is more involved in a growing understanding of the scope and shape of God’s work in the world. The ancient Near Eastern context of the Old Testament also shapes two important aspects of any discussion of science and the Bible. First, we tend to divide phenomena into categories of natural vs supernatural. Science studies the natural, while God’s action is supernatural. This division is a modern idea that is foreign to the ancient world and thus foreign to Scripture. God is active in everything. In our context today, this means that God is active in natural phenomena as surely as he is active in any supernatural event. A natural explanation does not eliminate God from the picture. Rather than thinking about the universe as a pie cut into slices assigned to God (supernatural) or to nature (natural), John suggests that we should view the universe as a layer cake with the natural the bottom layer and the supernatural the top layer. Science explores the bottom layer with increasing sophistication, but that does not remove the top layer from the cake. Secondly, Scripture does not and did not provide new revelation about routine natural processes. It uses the understanding of the original audience to convey the intended message. Ancient cosmic geography with a solid vault overhead and a flat earth, pillars and storehouses of snow and hail are assumed in various passages. These are not affirmed as truth – the role of God in creation is affirmed as truth. In the ancient world the brain was not viewed as the center of human thought and reasoning – rather the heart or entrails were thought to fill this role. The bible assumes that the heart was the center of cognitive processes – it does not affirm this to be revealed truth. As John tells us, we don’t need to “find scientific evidence that our blood pumps (i.e. hearts) engage in cognitive processes” to uphold the truthfulness of Scripture as God’s self-revelation. We don’t need a storehouse theory of precipitation. If is not a denial of biblical truth to allow scientific discoveries and insights to shape how we understand routine natural processes. Routine natural processes can be used by God. In fact, I suggest that this is, and always has been, his most common mode of action in the world (which is, after all, his creation). This includes the origin of the universe, the world, life, and human beings. Sometimes our view of God is just too small. What do you think of John’s principles of biblical interpretation? What are the requirements of a credible interpretation? You may also comment on What is a Credible Interpretation? at Jesus Creed. This entry was posted in Bible and tagged John Walton. Bookmark the permalink.